Amount Due – This is probably the most straightforward of all the information presented on your billing statement. It’s exactly what it sounds like, the amount of money you owe to your utility company. However, what all makes up this amount is a different story, so let’s take a look at the various types of charges you can expect to find on your bill. 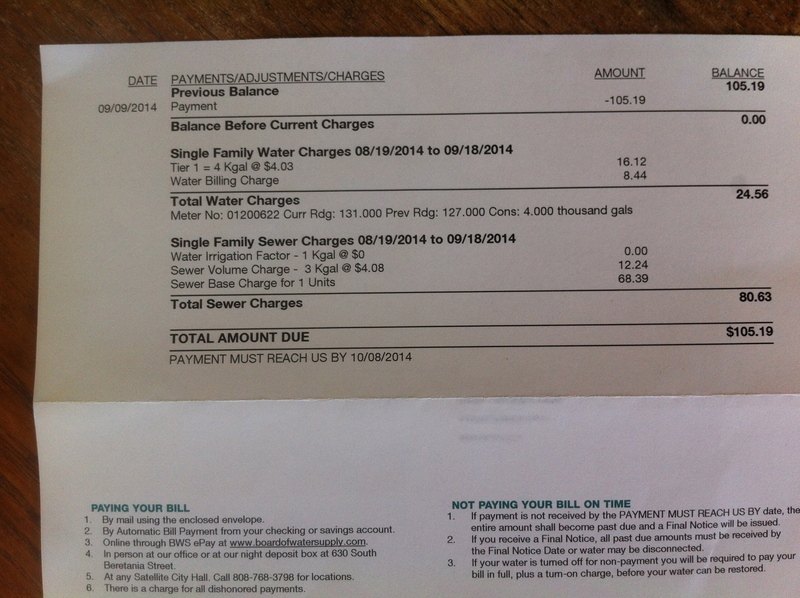 Charges: Typically your monthly water bill is comprised of two main charges, sewer and water. 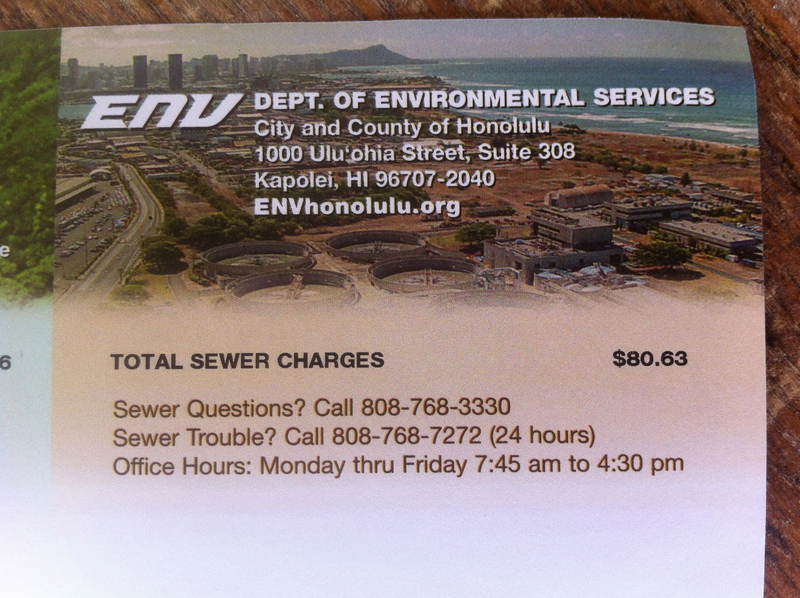 Sewer – This is the charge for all the water that get’s pumped away from your home and off to a water treatment center. This includes all the waste water from the activities in your home like washing dishes, showering, flushing toilets, laundry etc. Your utility company usually charges for this “removal service” with a flat rate based on the type of customer you are. 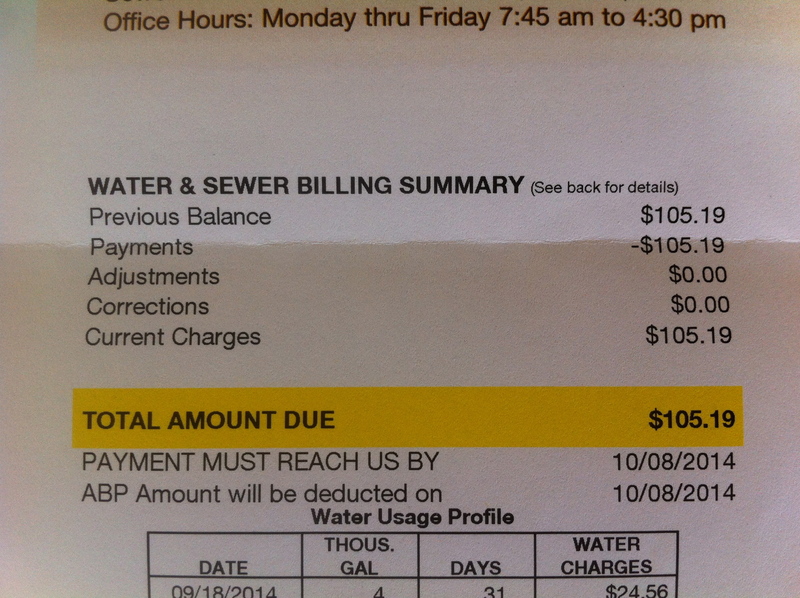 However, it is possible that some utilities will charge you a rate per 1,000 gallons of water “removed” from the home. 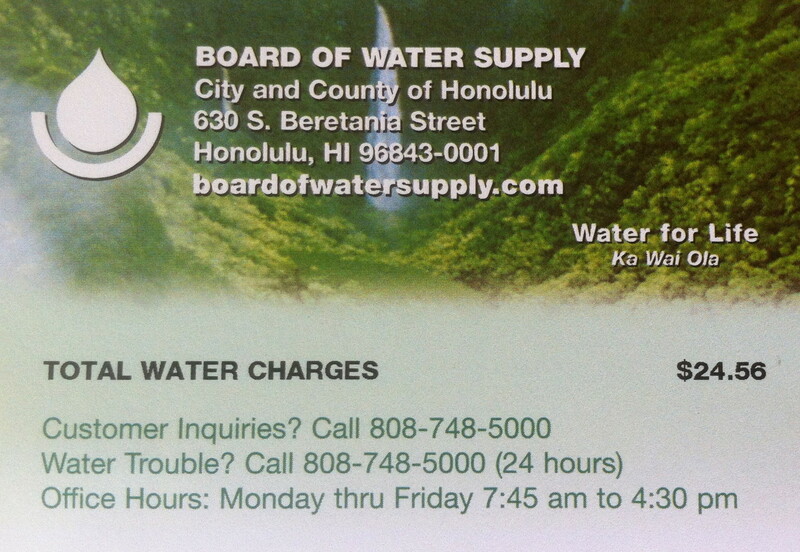 Water – This is the charge for all the water you actually have pumped into your home from the water treatment center. So every time you water your garden, clean your dishes or was your clothes you pay a rate which is measured in 1,000 gallon increments. Miscellaneous Fees – These types of charges will vary from one utility company to the next, but it’s quite likely that you’ll find these on your bill. These fees are often put in place to cover the costs of maintaining the sewer system and water treatment plants and can be labeled in a wide variety of ways. However, a common charge you’ll find in this part of your bill is an electrical charge. This is to cover the cost of the electricity used to actually run the pumps that deliver and take water from your home. (See our article on the energy-water nexus for more on this). Usage Habits – Just like your monthly electric bill, your water bill should give you some sort of history demonstrating your usage habits from month to month. 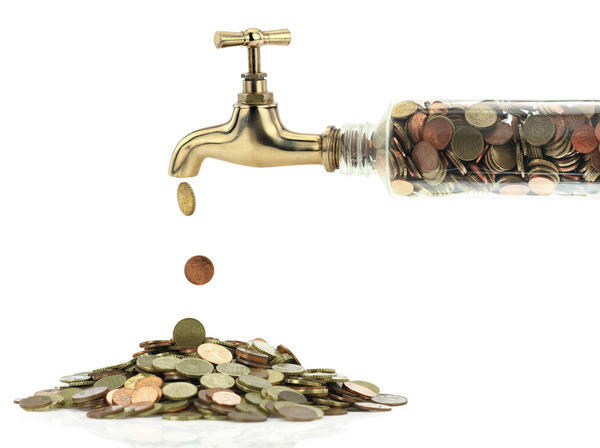 This is probably the best section to look at when it comes to saving water and money. 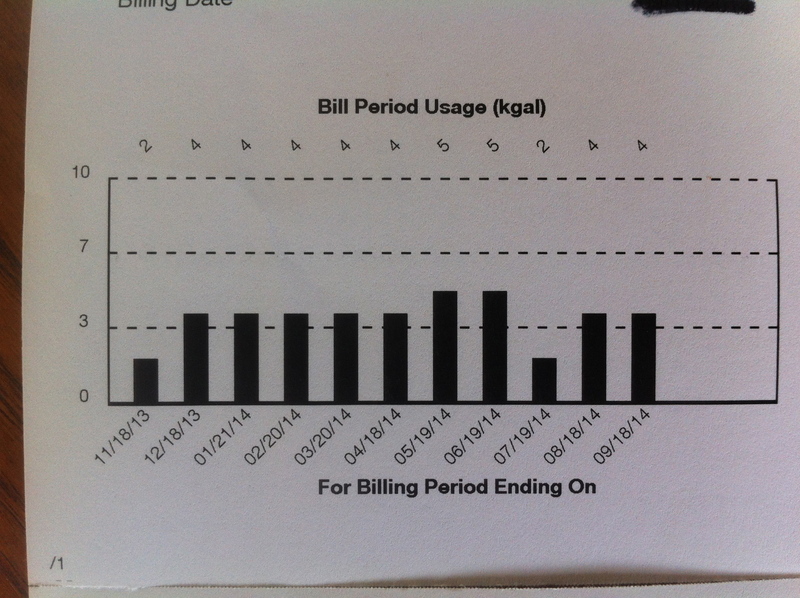 Is there a month in which you had a spike in your water bill? Or has it remained high after a given month? These types of spikes in your water bill can be contributed to lots of things, but one of those is leaks, meaning you’re paying for water you aren’t even using! If you see a slow steady rise in your water consumption that doesn’t correlate with a new person moving into the house, or a new water hog (i.e., new grass), it may well be that you have a leak (one that could potentially be getting worse, even). Install water efficient faucet aerators – These will lower the GPM coming out of your faucets without loosing pressure! Check for leaks in your sinks – This is probably the easiest and cheapest task you can do, but the savings could be tremendous. On average, household leaks can waste roughly 10,000 gallons of water per year if gone unfixed. If you’re looking for more ways to save around your home, take a look at our green home improvement projects: Green Living Ideas, after all, is a top 20 home improvement website! Photo courtesy of Desert News.